A Hard Country's A' Coming! 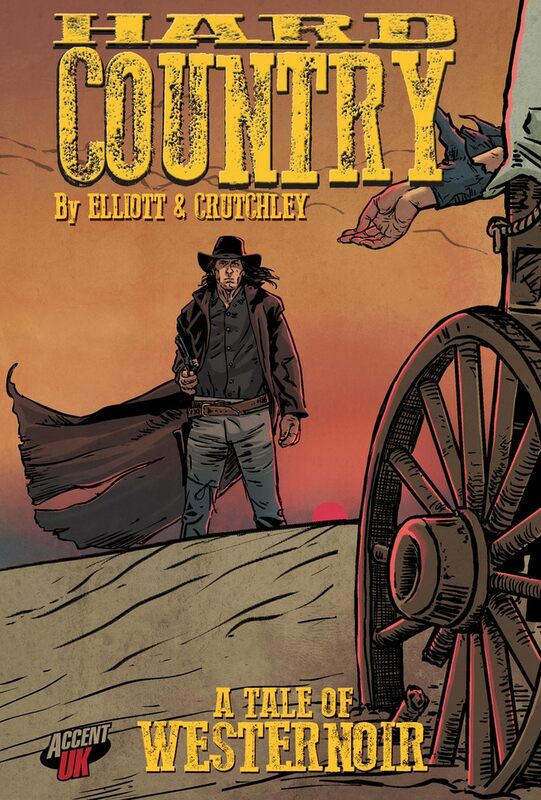 Just launched on Kickstarter is a cracking new graphic novel from WesterNoir's own artist (and co-author) Gary Crutchley and Andrew Elliot, Hard Country!. 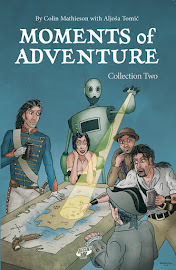 It's been a long cherished project for the creators which a successful kickstarter campaign will bring to life. 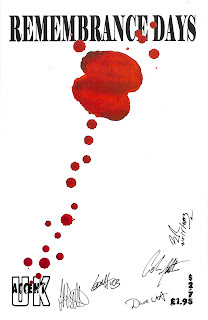 Check out its page here and also a preview of the art & prologue at Gary's own blog here. 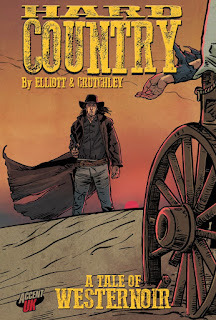 Worth checking out and supporting for all WesterNoir and western fans! An idle 'Accent UK' search on ebay surprisingly revealed quite a few of our titles on offer including a few out of print ones including the original first printing of Zombies which is now close to selling out of its second printing too! What really caught my eye though was the very, very first release from the newly established Accent UK, Remembrance Days from March 2003 I think, celebrating our formation on Remembrance Day November 2002. Rarer still is the fact it has been signed by - as far as I can decipher - almost all of the original contributing creators and Accent UK founders/alumni!! The stories & art on this one will be 'raw' in part but it was our debut and was well received at the time. We printed 300 which in hindsight was pretty ambitious but they all sold out except for the couple of file copies Dave and I kept as a memento - I think mine were also signed so I won't be bidding on this copy! I don't know who the seller is but this is a nice seldom seen piece of our early history - 15 years ago, jings!